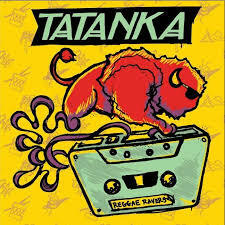 Tatanka have released their new single "Reggae Ravers" today featuring Sr. Wilson & Nattali Rize. Tatanka is taking their sound to new levels each and every time they come out with new tunes. One thing is also for sure is their live show is amazing. If you have a chance to catch them out on the road do not miss out. You can catch their tour dates below. Click HERE to purchase the single.